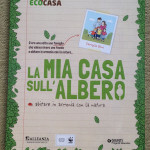 The new project EcoCasa by Alleanza Toro Assicurazioni in collaboration with WWF and Giunti Progetti Educativi. A project to teach to the children and their parents how to respect Nature and to have a responsable and ecological behaviour in a sort of game. 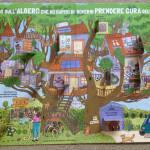 It’s possible play in internet or in the school with a special kit, composed by a poster where a treehouse is illustrated and with different windows in a sort of an Advent-calendar. 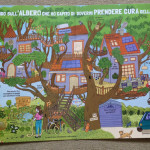 The children can open these windows and learn more what happen in a house, or better in an ecological house, and the most ecological is obviously on a tree! 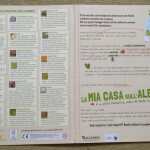 Let’s take a look on the website La mia casa sull’albero, unfortunately it’s in italian and there isn’t the option of english/other languages.